It long has been a controversial bit of conventional wisdom. 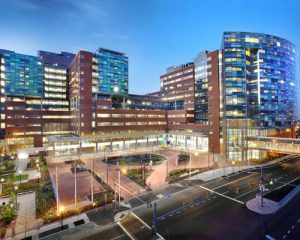 But big teaching hospitals may be a better place for older, sicker patients to go for care, a new study finds. They also may pay more for the treatment, as these institutions have become so large, bureaucratic, and revenue oriented. Researchers at Harvard and hospitals in the Boston area published an observational study of 21 million Medicare hospitalizations, finding older, sicker patients had better 30- and 90-day mortality rates in 250 major teaching hospitals as compared with 894 institutions with minor teaching roles and 3,339 nonteaching hospitals. When adjusting for factors that might affect results, the percentage of patients who died within 30 days of hospitalization—one quality measure— was 8.3 percent at major teaching hospitals, versus 9.2 percent at minor teaching hospitals and 9.5 percent at non-teaching hospitals, Stat, the online health information site has reported. That data means one fewer patient dies for every 83 the teaching hospitals treat. But is that persuasive enough to justify the controversial higher costs of care at teaching hospitals, including giant academic medical centers like Johns Hopkins, Mayo, the Cleveland Clinic, UCSF, UCLA, and Cedars-Sinai? These and other teaching hospitals have struggled with insurers who often ax them because of their costs from approved, “narrow networks” of institutions where insured patients can seek care. Ashish Jha, a lead author of the study, said he and his colleagues had looked at evidence about the quality of teaching hospital care, and found much of it, while favorable to academic medical centers, was getting old. Because of current debates about American health care, especially its quality and costs, Jha and colleagues said they wanted to provide fresher, valid information. The study has its limits. It is observational, and limited to one quality measure—post-hospitalization mortality rates. These may be better indicators for older and sicker but not for younger patients. The researchers did not dive deep into why Medicare patients fared better in teaching hospitals’ care. Jha also has been up front the study was funded by the Association of American Medical Colleges, insisting that rigorous conflict of interest guidelines were set and followed. In my practice, I see the major harms that patients suffer while seeking medical services, including at hospitals, whether major teaching institutions or community hospitals. Choosing a hospital can be a challenge, and reputational allures can be huge. Or we may try to rely on terse hospital ratings, stars, or grades. It is true that many academic medical centers bring together talented doctors who lead their fields and seek to improve medical science by sharing their knowledge. 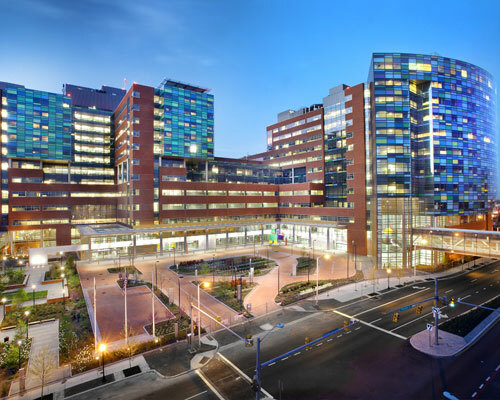 Because of their mission, these hospitals also may take on many and complex cases. They can put bad doctors on staff, too, and they’re imperfect places, not the least because they grow to become big high-cost medical businesses. It doesn’t look great, for example, that some of the nation’s largest nonprofit hospitals carry big budgets for advertising campaigns, with the top six spending between $1.2 million and $84 million to hype themselves and their services. The New York Times, in a recent report, both offered an indictment of Big Pharma and gave a glimpse into complex supply issues for burgeoning hospitals. It seems they are running short and stockpiling surprising drugs needed in complex procedures, postponing some due to shortages. Of what? They can’t get sufficient prepared solutions with two common, household items: baking soda and salt. Financial returns may not be high enough for competing vendors to make in sterile, scientific conditions the needed saline and sodium bicarbonate solution. Hospitals have gotten too big to make them for themselves, except in emergencies, and they run through huge volumes. The experts say hospitals are encountering more shortages in big demand, bread-and-butter materials like saline and sodium bicarb solution. But less so for best-selling high-priced drugs.